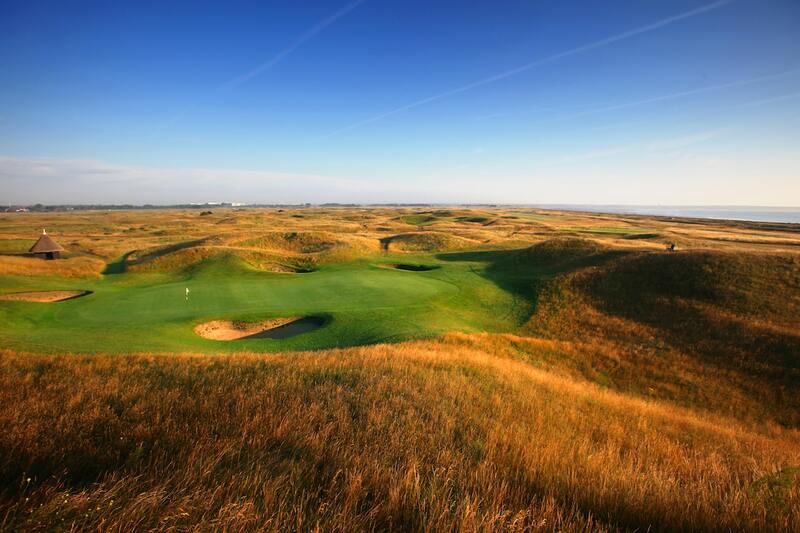 Mention golf in the British Isles to North American golfers and without hesitation, their minds turn to the renowned seaside links courses. And why not? The game began on linksland, a golf-friendly terrain largely unique to Britain and Ireland. Few players on our side of the pond realize that England offers golf on another landscape that is, for some, nearly as compelling: the heathland south and west of London. This land of the North Downs is known far more for its well-manored towns: Ascot and Epsom, famed for their horse racing; the royal demeanor of Windsor; and Sandhurst and its military lore. Yet its adaptation for the royal and ancient game a century ago marked a turning point in the burgeoning field of golf course architecture. Frankly, it was nothing less than a godsend, for the typical inland or “parkland” course of that era presented only soggy turf and lush meadow grass that disappointed players accustomed to the fast pace of links golf. The heaths of Berkshire and Surrey counties had many of the qualities of linksland. Its soil was sandy, so it drained well. It had plenty of undulation, which gave fairways and greens a hint of unpredictability. Its turf had a “spring” that made walking a delight. And it stood high above the surrounding plain, so the wind was often a factor. True, the heathland lacked punishing gorse, but it had swathes of purple heather equally capable of ensnaring a wayward shot. 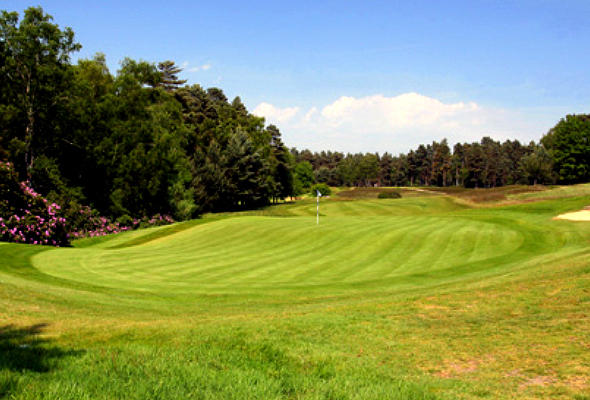 Despite the dense forests of the heaths, the game’s original “architects” used the land to produce golf’s first truly exceptional inland courses. 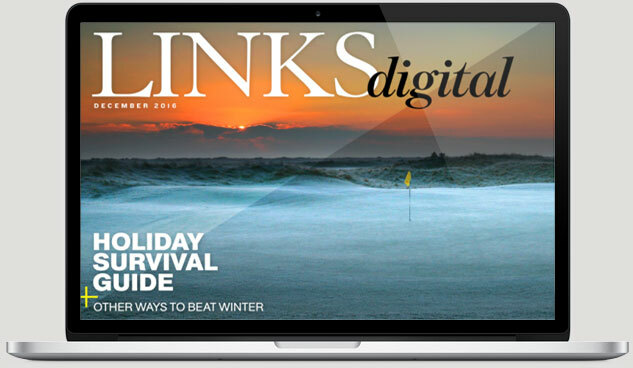 Willie Park Jr., laid out the sensational Old Course at Sunningdale. John F. Abercromby created a gem at Worplesdon. Harry Colt turned a triple play with Stoke Poges, Swinley Forest and St. George’s Hill. The well-to-do golfer of Greater London no longer had to journey by train to the coast for a decent game of golf on the links of Sandwich, Rye or Littlestone. As a result, substantial commissions flooded Fowler’s way. He revised prominent English layouts such as Westward Ho! and Saunton in the west and Ganton in the north. But he was hardly finished in the heathlands. In the late 1920s, he found himself riding horseback across a 400-acre expanse of land in Ascot, searching for fairways and greens on behalf of what was about to become the Berkshire Club. Good golf, indeed. Fowler got down to work, his keen eye and fertile imagination bringing forth in 1928 a pair of courses with the rare combination of challenging holes and abundant natural beauty. Today, the Red and Blue courses derive much of their character from the surrounding forest, which has grown back considerably. Every fairway is a grassy avenue bordered by fir, chestnut, silver birch and sycamore trees. The sense of peaceful isolation is outstanding, perhaps because those country homes are nowhere in sight. Understandably, the courses are remarkably similar. Those who know them seldom express a preference for one over the other. It’s little wonder, therefore, that the club uses a composite layout whenever it hosts an important event. That’s not to say that the courses are carbon copies of one another. The Red (6,369 yards) is 100 yards longer and occupies higher and slightly more hilly ground. 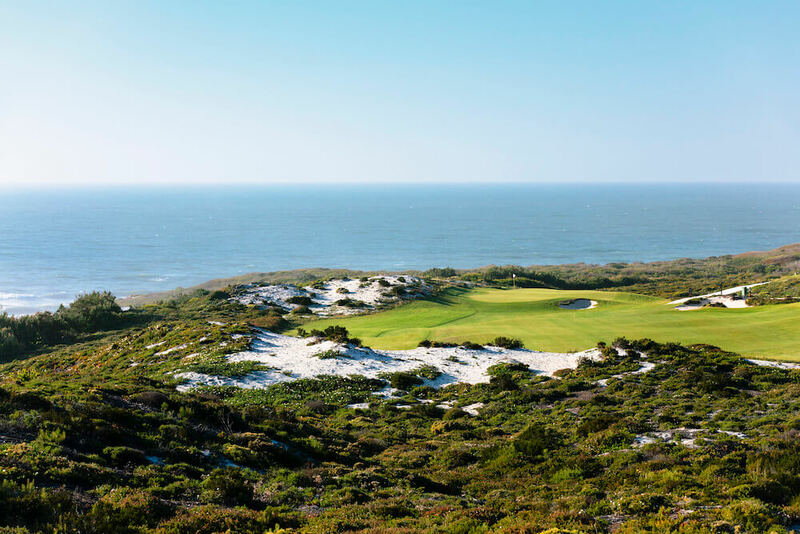 It also has a peculiar symmetry: a half-dozen holes of each par value, which some believe should be the norm. One finds something special in each category, too. The six par-5s have a Pavlovian effect on big hitters, who drool with anticipation at the eagle and birdie possibilities. The Red Course opens with a par-5, a nice feature that allows players to loosen up. It also allows an “extra” shot to recover from a poor one. The most memorable of the par-5s is undoubtedly the 17th, which requires a carefully judged pitch to a narrow, two-tiered green. As for the two-shotters, every writer for the past seventy-odd years has nominated the eighth hole as the finest of the lot—and rightly so. The tee shot on No. 8 must be faded well past a stand of pine trees to set up a delicate approach over a valley to a tightly trapped green. The course wouldn’t be complete without a demanding drive-and-pitch hole, and the 350-yard 11th fills the bill. Any old club will do off the high tee, but only the correct one will put the ball on the well-bunkered green set on a shallow rise. Among the short holes, the 188-yard 10th is spectacular. It has a narrow green with a steep precipice that tumbles down to the right, revealing Fowler’s ability to site greens imaginatively. The 16th is recognized as one of the most difficult in the realm. It’s a 221-yarder to a plateau green that must be pierced by a shot to its heart in order to be subdued. The Red Course closes with a par-3 that unfortunately provides a rather flat and uninspiring finish. Mirroring that quirk of architecture, the Blue Course begins its challenge with a par-3. The wisdom of beginning a round with a one-shotter is hotly debated, even though that feature is found on first-rate English tracks such as Royal Lytham, Royal Mid-Surrey and Southport & Ainsdale. Proponents of the scheme score an interesting point: An opening par-3 makes a dramatic 19th hole in match play. That’s certainly the case on the Blue Course, for the first hole is a mighty 217 yards with a steep drop to the right. Those players incapable of threading a 2-iron between its guardian bunkers are free to lay up on the fairway and finish the job with a pitch and a putt. Berkshire maintains a relatively low profile because its courses lack sufficient length to host big-time professional events. 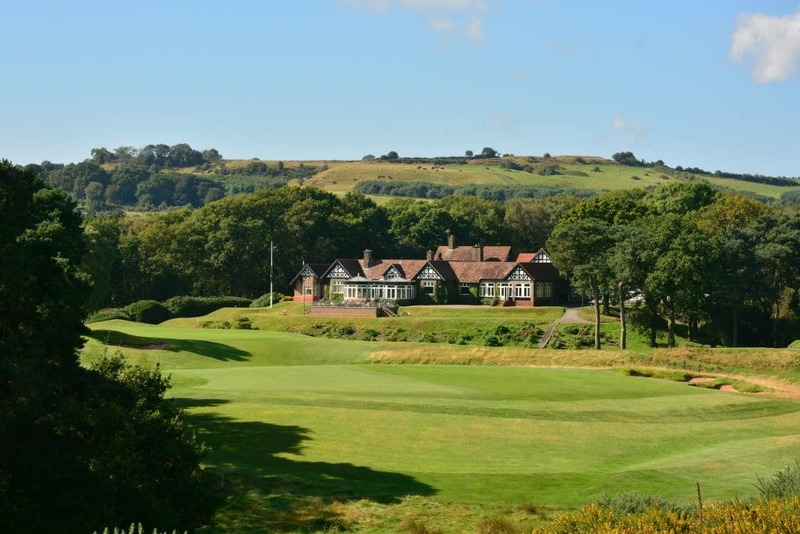 Even so, it’s an appropriate venue for top amateur championships, including such team events as the St. Andrews Trophy, in which Great Britain and Ireland face off against a squad from continental Europe. The club has an uncanny knack for producing worthy champions. In 1959, the perennial bridesmaid Elizabeth Price ended years of frustration by defeating “Belle” McCorkindale at the 37th hole to win the British Ladies Amateur. Former R&A Secretary Michael Bonallack won his third of five English Amateur titles at the club in 1965. Bonallack knew the layout well, having prevailed a half-dozen times in the Berkshire Trophy, an annual 72-hole medal competition of immense prestige that the club instituted after World War II. Peter Oosterhuis, Sandy Lyle, Nick Faldo and Peter McEvoy have also won the Berkshire Trophy, which is currently embroiled in an unfortunate scheduling conflict with another top amateur event, the Lytham Trophy. Other top amateur players have been identified at the club during the annual playing of the Astor Salver, a 36-hole stroke play event for amateur women instituted in 1951. The courses of the Berkshire Golf Club were revised slightly in 1955 by John S. F. Morrison, who simply moved a few tees back and altered the odd bunker. The club remains a favorite of capital golfers, including Prince Andrew, an avid 7-handicapper and the only member of the royal household who plays golf regularly. Already slated to serve as captain of the R&A during the 2003-04 season, the Duke of York might even solidify his position in the game by granting “royal” status to Berkshire, one of his favorite clubs. The genius of W. Herbert Fowler, as well as the perspicacity of building golf courses on the heathland south of London, are made eminently clear at Berkshire. Indeed, a royal imprimatur upon the place would only confirm what we already know.